One important issue in the area of personality research is how universal personality traits are. Is it really true that people from Germany are more organized than most, or that people from Canada are more polite? Are US Americans naturally better leaders? These questions are part of a field called cross-cultural psychology, which is about examining how universal personality constructs are. For those interested in personality testing, it’s worth learning about the degree to which information from personality tests can be applied to people from other cultures as well as our own. Most personality tests are developed in Northern America or Western Europe, and this affects how questions are conceptualized and framed. It might seem like a personality test should work equally well for different people across different cultures, but sometimes that is not the case. The first step in applying a personality test across cultures is to translate the test into another language, but this is already a challenge. 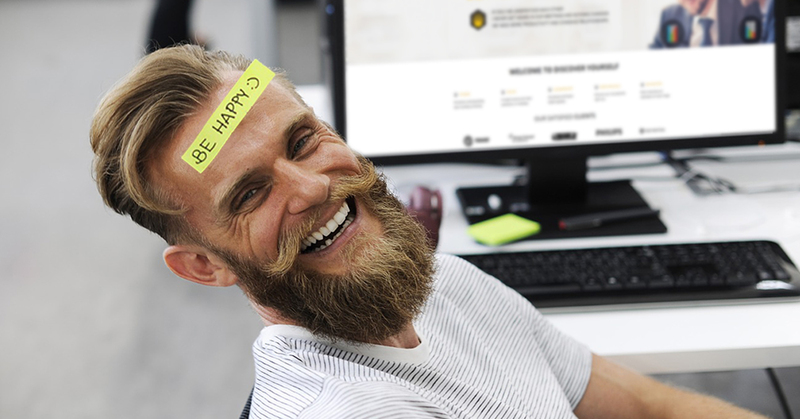 The exact translation of particular words can cause difficulties, such as trying to decide how exactly to translate a question about happiness – which could refer to contentment, joviality, positive outlook, or overall life satisfaction. Depending on how exactly the word is translated, it affects how people answer the question. This means it is often hard to compare results of personality tests across cultures, even when the same test is used. This can be done correctly, however, if approached very carefully. A further problem is with the way that personality tests refer to certain conditions or experiences. If a test asks someone whether they “feel under the weather”, for example, this idiom will not be equally understood everywhere and will be interpreted differently by people of different cultures. Therefore, personality tests are designed to be as clear as possible while still capturing the essential features of experience that are relevant to personality. 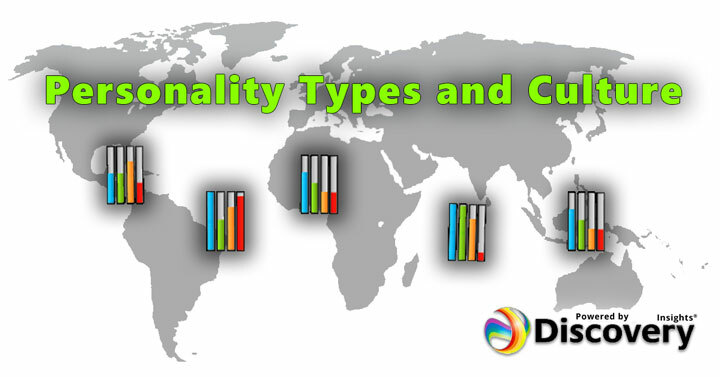 More recently, personality assessment tools from other cultures have been developed and shared internationally, such as the Chinese Personality Assessment Inventory which was developed in Hong Kong in the 1990s. This test is specifically aimed at assessing personality among Chinese people by referring to specific constructs which are important in Chinese culture but are not addressed by Western personality tests, such as harmony, modernization, graciousness versus meanness, and face. In clinical terms, one construct that is present in the CPAI but absent in most Western scales is somatization, which refers to the tendency to manifest psychological symptoms through physical pains, ailments, or disabilities. Somatization is a fairly rare symptom in Western psychiatry and psychology and so is often not included on clinical scales, while it is relatively common in China and so an important factor to measure when looking at personality in this culture. The reason that we find different expressions of personality, and especially different expressions of mental illness and distress, in different cultures is due to social norms around the expression of emotions and experiences. In China, there is still a degree of stigmatization of mental illness and a general aversion to describing negative psychological experiences. Therefore, when people feel bad they are more likely to say that they have a headache or that they are tired. In Western cultures, where there is more of an emphasis on psychological self-examination and sharing, people would be more likely to describe themselves as depressed or unhappy. This means that the same experience (such as low mood, lack of motivation, lack of energy) might be described as a physical affliction by a Chinese person (“I have a headache”) but as a psychological issue by a US American person (“I am feeling depressed”). This shows that personality can’t be studied as removed from culture – because culture has a huge impact on not only the formation of our personalities but also the way that we talk about our experiences. Beyond the methods and wording of personality assessments, there can also be big cultural differences in personality types. For example, consider the question: “Do you prefer to work on your own or as part of a group?” In cultures which emphasize individualism, such as the US, people will be more likely to answer that they like to work on their own. In cultures which emphasize collectivism, such as Japan, people will be more likely to answer that they like to work as part of a group. This is both because norms of each culture suggest that one answer is more appropriate than the other, and because people will likely have more experience in working in a style which is concordant with their culture. This gets at part of the fundamental issue with personality testing, in that it may be true that more US Americans like to work independently and more Japanese people like to work in a group. However, this doesn’t mean that there is something inherent in being born in a particular place which means that a person will develop a certain personality type. Rather, it means that culture affects personality by making some choices more common and acceptable than others. Another important thing to realize about personality differences across cultures is that this refers to trends, not exclusive categories. For example, the people in one country may tend more towards introversion and the people in another country may tend more towards extroversion. This means that there will be a higher percentage of either introverts or extroverts in a given country – however, there will always be a mix of both personality styles in any large enough group. Similarly, there are some differences between the distribution of personality traits between men and women – but we could never say that “all men are like this” or “all women are like that”. When working with personality data, we are identifying traits, not rules. To learn more about how personality assessments can help at work and elsewhere in life, and how the Insights Discovery profile has addressed these cultural assessment issues, visit www.discoveryourself.com. And next time I’ll be discussing how to use insights from Jungian psychology to work more effectively as a team, so check back soon for that! In business, learning to listen to others is a crucial skill, especially when working in management. Whether we’re speaking with our employees, our clients, or with the upper management team, we must strive to hone our communication skills in terms of both conveying information and taking information in. 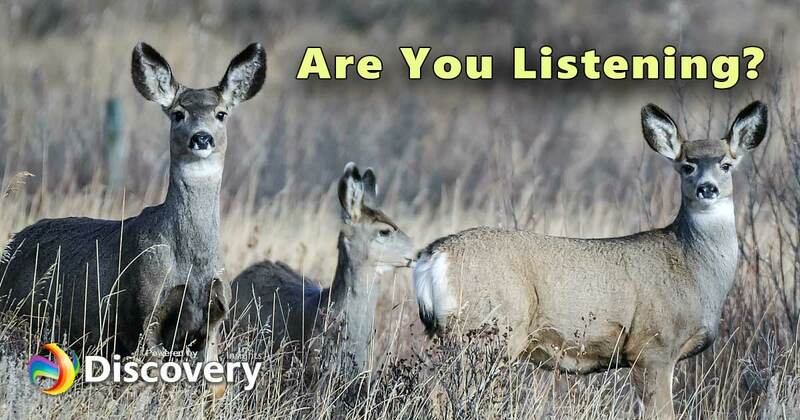 Today we’re going to discuss an approach called effective listening, also known as active listening. We’ll also share some practical tips to improve active listening skills. Most people think that they are a good listener. A study by William Haney from the 1970s asked over 13,000 people from various organizations to compare their listening skills with others who they worked with. The results showed that virtually every person thought that they communicated as well as or better than almost everyone else in their organization. Of course, this is not how averages work! In reality, a study by Husman and colleagues from the 1980s found that most people listen at just 25% efficiency. Other studies since then have found that we only take in about 25 – 50% of what we hear. There’s obviously a big gap between us judging ourselves to be excellent listeners and the reality that we hear less than half of what is said to us. We tend to overestimate our listening skills in part because communication takes place between at least two people, making it difficult to gauge whether we are communicating effectively without input from the other party. Another issue is the lack of clear objective criteria for assessing whether communication has been successful. Overall, this ubiquitous overestimation suggests that while we all agree that listening is important, we also don’t generally feel a need to improve our own listening skills. This gap between how we perceive our listening skills to be and how our listening skills actually are can cause serious issues in the workplace and elsewhere. Managers should strive to understand the employee perspective as well as the information being shared, even if the method used to convey this information is somewhat less than crystal clear. Effective listening not only helps to diffuse conflicts and deal with problems, it also helps foster a greater understanding between managers and employees. It allows us to hone in on the subtle cues that help us assess a person’s strengths and weaknesses, thereby allowing us to formulate positive responses that will be most effective in encouraging and motivating them. Effective listening requires active engagement, not just silence. Asking questions establishes a two-way dialogue with the speaker. If we sit in silence, it is hard for the speaker to know if they are being heard. But if we engage and asks for clarification or for more information, that demonstrates to the speaker that their message is clearly understood. Effective listening makes the speaker feel positive. When a person feels listened to in a positive way, their self-esteem rises. In effective listening, we should be supportive and convey confidence in the speaker, even when we don’t necessarily agree with what is being said. The aim of effective listening is not to challenge the speaker or their ideas, but to understand their perspective through the creation of a safe environment. Effective listening is cooperative. While it’s important to not listen in silence, it is equally crucial to pose questions in a way that is not combative or interrogative. We’re not trying to win an argument, but to cooperate in building a consensus of mutual understanding, even when there is disagreement between ourselves and the speaker. Effective listening is proactive. The fact that effective listening is cooperative and not combative doesn’t mean that we can’t provide feedback. In fact, one of the hallmarks of effective listening is providing suggestions to the speaker. When we feel listened to and respected, we become more receptive to suggestions than when those suggestions come from someone who has been combative or argumentative. In summary, the HBR study found that effective listening is about more than passively absorbing information – it is about letting the speaker bounce their ideas off of us and creating an environment of mutual respect and cooperation. Maintain good eye contact. Doing so allows us to signal to the speaker that they have our undivided attention. Don’t interrupt. Let the speaker explain in their own time without jumping in while they are talking. Don’t just wait for the next opening to talk. It’s very common to become preoccupied with looking for the next opportunity to speak. Instead, we should always focus on the present and what’s being said. Don’t judge or require justifications. It’s okay to ask clarifying questions, be we should be careful to avoid putting the speaker on the spot to defend their position or otherwise suggest we need to be persuaded to listen further. Use open body language. Maintain forward-facing posture towards the speaker, nod as they speak, use confirmation words like “uh huh,” and smile. Effective listening is critical for becoming a better manager. By implementing these techniques in our everyday communication, we can foster a more productive working environment among our employees, clients and peers. Check back soon for more posts on psychology and management! You may not have heard of Albert Mehrabian, an Armenian-Iranian professor of psychology at UCLA, but you’ve almost certainly heard of his work. He studied human communication, and he performed experiments in the 1960s on the relative importance of words, tone, and physiology in verbal communication. What is the most important part of speech as communication? It seems obvious that the answers would be the words that the communicator speaks, as they convey information most consistently. But according to Mehrabian, tone and physiology are even more important than words. Put another way: body language speaks volumes louder than words ever can! Mehrabian aimed to compare the relative importance of verbal and non-verbal communication in face-to-face conversations. In the first experiment he ran, participants observed a person saying a single word and then judged whether that word was meant in a positive or negative way. The experimenters varied the communication so that sometimes both the word and the tone was positive (e.g. the word “dear” delivered with a smile), sometimes both were negative, and sometimes the word and tone were incongruent (i.e. the word was positive, but the delivery was negative). From the judgement of the participants over whether the communication was overall positive or negative, Mehrabian worked out how much of the judgement was due to the tone versus the word. The problem with Mehrabian’s work is that it is frequently over-interpreted and used to make claims that are not actually supported. 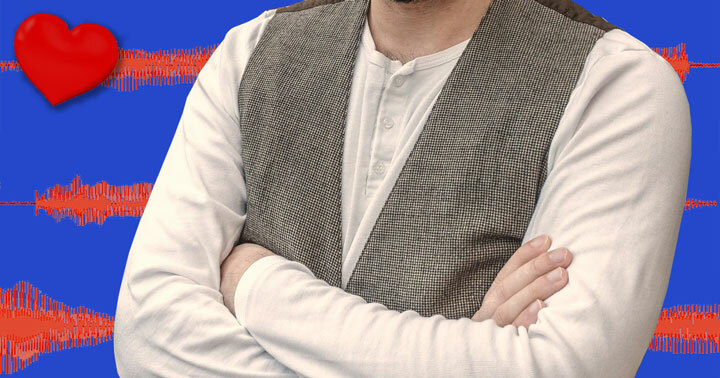 You’ll hear people claim that “body language makes up 55% of all communication” or that “non-verbal communication is more important than verbal communication.” In fact, this isn’t the case for several reasons. First, remember that the experiments were performed with the participants listening to single, isolated words without context, which is not at all how humans typically experience communication. Secondly, the physiology factors that were consider were facial expressions, not body language as is commonly claimed. Most importantly, the experimental findings applied only to incongruent situations. This means that when physiological cues and verbal cues do not match, people disproportionately base their judgements on non-verbal rather than verbal communication. The same thing is not necessarily true in other situations. The real takeaway lesson from these studies should not be “non-verbal communication is more important than verbal communication,” it should be “for clear communication, verbal and non-verbal cues need to match”. So, if you want to convey excitement about a project when you’re presenting, then your tone and body language should be positive as well as the words that you are using. A final key factor that often goes completely overlooked is that these experiments equated communication to each speaker’s feelings and attitudes. In other words, Mehrabian’s speakers weren’t talking about facts or objective information, but instead their own subjective likes and dislikes. Think of it this way: if you were at a party and you asked someone if they were having a good time, and they said yes while using a flat tone of voice and not making eye contact, then you’d naturally assume that they were not really having a good time. But if someone tried to tell you that the Earth was flat, it wouldn’t matter how upbeat they sounded or how excited they were, you still wouldn’t believe them. That’s because the person at the party was talking about their feelings, where non-verbal cues are important for your judgements, but the flat earth enthusiast was talking about facts, where you are more focused on the content of their speech. Of course, none of this is meant to refute that body language and other non-verbal cues are important in communication. It’s just that Mehrabian’s studies don’t really show what they are often claimed to show. But there have been many other studies over the years that have looked at verbal and non-verbal communication. A notable example by Argyle and colleagues from 1970 used video tapes to show participants communicators who were either dominant or submissive, and it found that non-verbal cues and especially body posture contributed 4.3 times more to their judgements than did verbal cues. On the other hand, a 1992 study by Hsee and colleagues analyzed how clinicians make judgements about the emotional states of their clients. They found that participants made judgements about another person’s emotional state based more on that person’s self-report and facial expressions than on their tone of voice. This could be because clinicians are trained to listen more than most people and are very attentive to subtle cues like facial expressions. So what does all of this mean in practice? Essentially, effective communication requires a combination of words, tone, and physiology that are all in harmony. When you share information, especially if you are talking about your personal feelings, you needn’t be stiff and formal. In fact, you’ll communicate more clearly if you allow your body posture and your tone of voice to convey the same meaning as your words. Next week we’re going to talk about the reverse of communicating effective – how to listen effectively. Come back soon for that! When you’re looking for a personality assessment to use in your workplace, you’ll find that there are lots of different assessments, based on different psychological theories and providing different kinds of information. 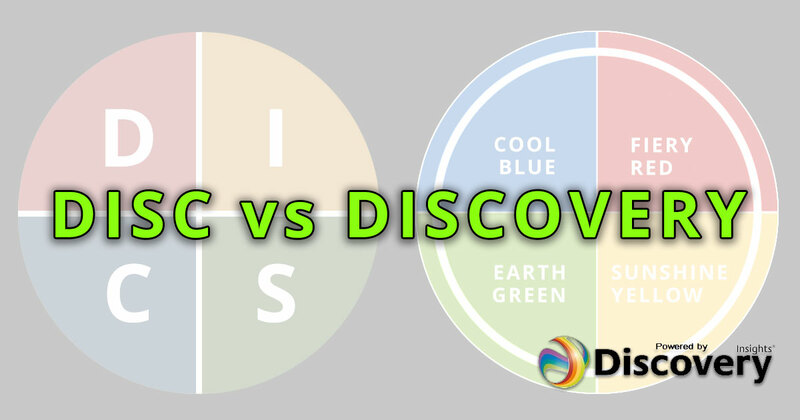 Two of the most popular assessment tools are Discovery (also known as Insights Discovery) and Disc (also written as ‘DISC’). We’ll talk about the similarities and differences between these two assessments so that you can see which one might best suit your needs. 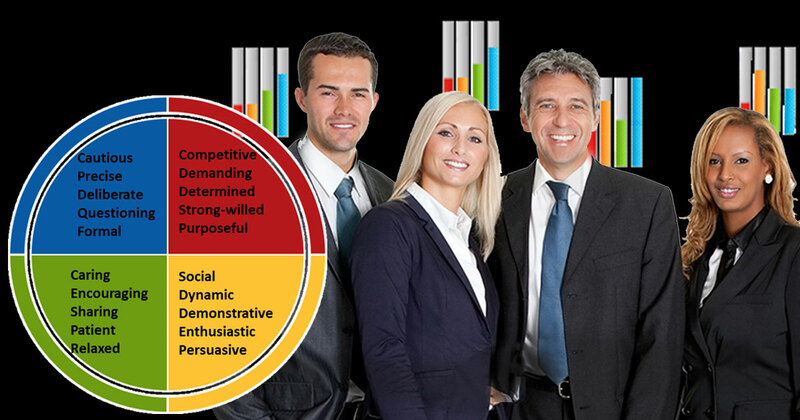 Both Disc and Discovery are psychometric tools that are used in business environments. They both sort people into simplified personality types based on self-reported answers to a range of questions, which can be both a strength and a drawback. Self-report allows for people to share their own perspectives on their own life, however, it also means that results from these assessments are only as reliable as the person who submitted the data when completing the assessment. The tests work by giving the test taker a series of questions or statements for which they will choose the answer that feels most appropriate for them from a list of multiple choice options. These answers are then collated together and analyzed to produce a profile of the test taker. Often businesses will get teams or even whole departments to take the assessments at the same time so they can discuss the results together. The Disc assessment is based on the work of psychologist William Moulton Marston, also known as the creator of Wonder Woman. The assessment determines people’s emotional style based on four traits: dominance (D), inducement or influence (I), submission or steadiness (S), and compliance or conscientiousness (C). Each individual will have one of these traits as their default approach, so you’ll hear people who have used this tool describing themselves as “high D” or “high I” and so on. As well as these four traits, there are two dimensions provided by the Disc, which refer to the ways in which these traits are expressed in the world. These dimensions are firstly about personality traits (i.e. whether people are more reserved or more outgoing) and secondly about behavioral style (whether people are focused on goals and tasks or on other people). It is worth noting that the Disc is generally understood as a behavioral assessment and not a personality test – so it gives information about traits or behavior, but not about other aspects of personality such as values and beliefs. One important thing to know about the Disc assessment is that it is not controlled, owned, or overseen by any one company or person. The theories of Marston that the tools are based on are publicly accessible, and anyone can use these theories to develop their own assessment tools. For this reason, you might find quite some variation in style between various Disc-based assessment tools. The Insights Discovery assessment is based on the work of Carl Jung and sorts people into four colors which represent four outlooks and corresponding goals. The four colors are cool blue (precise, exacting, and deliberate and seeking understanding), earth green (caring and patient and seeking harmony), sunshine yellow (fun and sociable and seeking recognition), and fiery red (driven and confident, and seeking achievement). These four aspects form the basis of the Insights Discovery assessment. 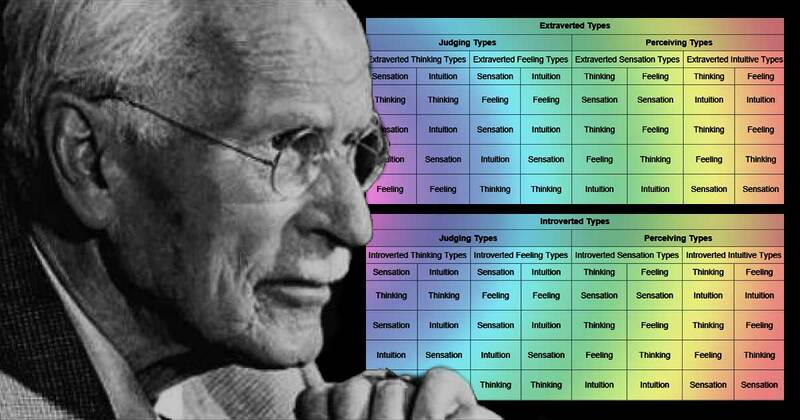 Further assessment is then provided through looking at each person’s personality type based on the work of Jung. He proposed that there were four primary cognitive functions that people use when thinking and acting in the world. These cognitive functions include rational judging functions (thinking and feeling) and irrational perceiving function (sensation and intuition), and each one can be expressed in an introverted way (directed inside towards oneself) or an extraverted way (directed outwards towards others and the world). From these four functions and two expressions, eight psychological types can be identified which map onto combinations of the four colors described above. Unlike the Disc, the Insights Discovery concept is owned and managed by one organization, so there is a specific format to the questions used in the assessment and the report created for each person. The Discovery tool is geared towards business scenarios so the results report includes information on the body language, verbal style, work strengths and weaknesses, and communication style of each person. One useful aspect of Discovery in team building is its focus on how a person of a particular color or type would interact with people of different colors or types. The exercises can include information about identifying types in others and using this information to tailor your communication with them for better teamwork. The report is in depth and includes information on managing that person and also how that person will be as a manager of others. This report format makes the Discovery a popular tool for departments who want to foster teamwork or understand the team dynamics of their staff more thoroughly. If you are thinking about using one of these assessments for your business, it is important to know what they can and can’t tell you. One mistake that is commonly made when looking at psychometric tests in a business context is thinking that an assessment can tell you who will be a good performer in their role and who will struggle. These assessments do NOT tell you about a person’s ability to succeed in their job – instead, they tell you about how a person approaches their work and how you can support that person in their development and communicate with them effectively. Also, remember that these assessments only give you information about how the person perceives themselves, which is only as accurate as the person knows themselves to be. You should avoid stereotyping people or making assumptions about their abilities or aptitudes based on these assessments. Remember that the assessments give you suggestions about communication style and approaches, but not information on skills or values. In the last post we talked about the four colors approach to personality, and how these four colors relate to eight personality types. Today we’re going to dig into the work of Carl Jung to learn more about the eight personality types and the cognitive functions that they are based on. Psychoanalyst Carl Jung worked on the topic of psychological types back in the 1920s, and much of the field of personality types today is still based on his work. He looked at the essential cognitive functions, and proposed that there were two diametrically opposed pairs: rational, judging functions of thinking and feeling, and irrational, perceiving functions of sensation and intuition. The idea behind this distinction is that the judging functions are matters of assessment that require decision making, while the perceiving functions are related to gathering information from the world. Sensation – This is what you probably imagine when you think of the word ‘sensation.’ It refers to perception through our senses, such as us absorbing information about the world through touch, taste, sight, etc. Thinking – This refers to the rational analysis of data and the applying of logic to questions in order to draw meaningful conclusions. It is related to intellectual cognition, meaning the use of logical analysis. Feeling – This is not the experiencing of emotion that you might expect, but rather refers to subjective estimations and the making of decisions about value. The function is still considered rational in that it is a form of assessment, but the object of that assessment is a subjective state. It is making decisions based on feelings, and relationships. Another key aspect of Jung’s model was the distinction between introversion and extraversion (sometimes spelled as ‘extroversion’). Jung believed that these two attitudes represented the ‘direction’ in which each of the four cognitive functions could be turned. An introverted function is one that is turned inward, meaning that it operates within the interior world of thoughts and reflection. An extroverted function is one that is turned outward, meaning that it operates in the realm of the exterior world of behavior, actions, things, and other people. People who tend towards introversion gain energy from time spent alone, are thought oriented, and like to contemplate first and act later. People who tend towards extraversion gain energy from being around others, are action oriented, and are more likely to act first and reflect later. Extraverted Sensation – Someone who lives in the moment, taking information from the world and acting on concrete data. They pay attention to opportunities to act and they value new experiences. They tend to notice details and work with what is available to them. Introverted Sensation – A person who takes information from the world but compares it to past experiences before acting. They rely on the past to guide them and look for links between past and present experiences. They tend to have good memories and store information for later use. Extraverted Intuition – Someone who isn’t constrained by the current way of doing things – they look for how the world could be instead of accepting how it is. 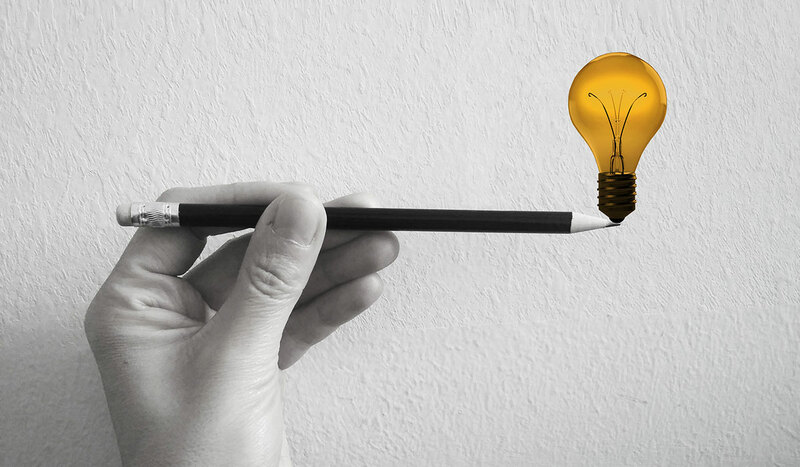 They value meaning and look for flashes of insight that tie together ideas from different contexts, and they see connections in the external world. Introverted Intuition – This person will follow their own internal framework and fit ideas and thoughts into this framework in a consistent way, though their thoughts may be hard for someone else to follow. They think about how the future will unfold and use intuition to plot future outcomes from current situations. Extraverted Thinking – A highly logical person who likes structure and seeks consistency from others and the world. This person follows the rules and sets boundaries, and they use guidelines to assess whether something is working or not. They organize efficiently and according to parameters. Introverted Thinking – This person is also logical and seeks consistency, but they are far more concerned with adhering to their internal framework than with external rules. They analyze and categorize, identifying inconsistencies and they achieve precision through careful definitions of terms. Extraverted Feeling – A person who values harmony and connection with others, who likes acting as part of a group, and who values social ties and promotes the comfort of others. They care about maintaining the values of groups and organizations and are willing to adjust in order to accommodate the needs of others. When they make decisions they take into mind what is acceptable and appropriate. Introverted Feeling – Someone who cares deeply about values and who strives to act only in ways that are in line with their personal values. They review and evaluate actions and thoughts based on their underlying truths and are willing to stand up for truth and accuracy. Naturally, all of us have the potential to use all these different attitudes depending on the context and our training and background. But Jung believed that each person has a dominant function which they prefer to use when thinking and acting. To find out more about how these attitudes are used in practice in personality testing, come back soon as our next post will compare two popular personality assessment tools. And you can always learn more at www.scottstedtalk.com. One way to help people understand their personalities and the personalities of others is to use psychometric assessments which sort people into different personality types. Today we’re going to dive into the basics of one assessment that’s often used in a business context to help managers and co-workers understand each other better: The Insights Discovery system. 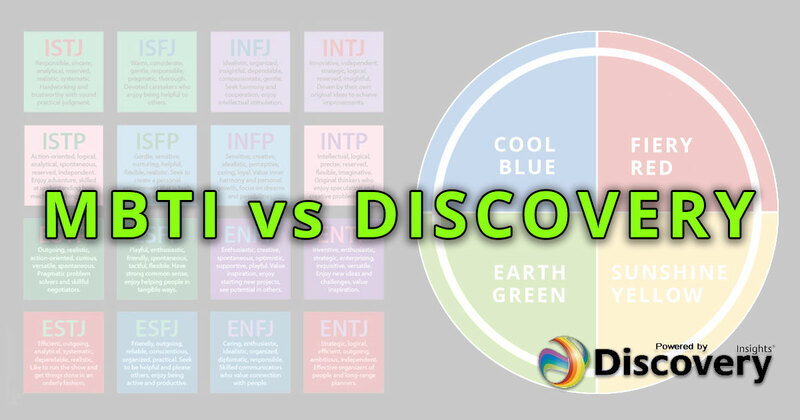 Insights Discovery is based on the work of psychologist Carl Jung, and sorts people into four colors, then eight personality types and ultimately into one of 72 unique wheel positions. Let’s talk about each of these distinctions so you can understand more about the Insights Discovery System, and how it can dramatically improve communication. The four colors used in Insights are cool blue, earth green, sunshine yellow, and fiery red. Each of these colors represents two key related pieces of information: the individual’s outlook on life and the way in which they make decisions. This also impacts the way in which a person is perceived by others. Cool blue is displayed by someone who is very exacting, who wants everything they do to be to a high standard, who is cautious and thoughtful. They are deliberate in their actions and work within a formal structure. In a group they strive for understanding, and they can be perceived by others as thoughtful and analytical but sometimes distant and unemotional. Earth green is displayed by someone who is caring and encouraging and who values stability and supporting others. They are happy to share with others and are patient when teaching a new skill. Their ultimate goal is harmony and in a group they foster consensus. They are seen by others as agreeable and relaxed but can also be seen as mild and docile. Sunshine yellow is displayed by a person who is fun and loves interacting with others. They value socializing and they are enthusiastic around others, particularly when demonstrating a skill. When working in a group, they desire recognition. They are dynamic and spontaneous, which can lead others to see them as disorganized. Fiery red is displayed by someone who is action driven, and who is certain and confident. They enjoy a challenge and are often competitive and determined to succeed. This determination means that their goal is achievement and overcoming challenges, however, their single-minded focus can sometimes lead others to see them as impatient. Of course, no person is entirely described by one of the colors above: We are all a mix of different traits that we will display differently based on our environment and mood. And, a person can be a mix of different color categories too. From this comes the idea of eight personality types, where in addition to types based on the four colors, there are four more types which represent a blend of two colors. These eight types map onto the work of Jung, who defined personality as four aspects (sensation, intuition, thinking, and feeling) along one axis (extroversion versus introversion). A director is a person who is focused primarily on results. Their biggest priority is to get the most important task they have done to a high standard and on time, and they are not afraid to make big decisions and to implement those decisions assertively. These qualities make them excellent leaders, but they need to be careful so they don’t come across as pushy or impatient. The motivator has the same drive to get results as the director, but this is tempered by an emphasis on positive thinking and a sense of fun. This person has high levels of enthusiasm and can get a group motivated to take on a task or to overcome a challenge. Their ability to enthuse people into implementing plans makes them well suited to roles where they inspire their staff to achieve their goals. The inspirer’s greatest strength is their people skills, as they enjoy being around others and have a good understanding of how to motivate and inspire them. But they are not just cheerleaders – they are creative types who can find people-oriented solutions to problems that other people might not think of. Their skill at persuasion can make them good sales people as well as creative team members. The helper has the sociable aspects of the inspirer but also a more grounded, caring aspect. Instead of wild creativity they have a more solid, supportive, practical approach. They enjoy helping others most of all, and they are willing to be flexible and to see others’ points of view. Their skill at sharing ideas make them excellent mediators as they are good at helping a group to build consensus. The supporter is someone who prefers to stay out of the spotlight and to facilitate the work of the group. They are excellent listeners and can empathize with others, so they make good counselors. They are highly loyal to their team, and they like to work supporting others and group rather than just driving results on their own. The coordinator is highly organized and puts an emphasis on planning and time management. They have a practical approach to what can be achieved and what steps will be required to implement a plan. They make excellent administrative staff and project managers. The observer is detail oriented and cares about everything being correct and defined to a high standard. They are strong at analysis and at meeting rules or guidelines, making them well suited to testing or compliance roles, and really any role that required analytical, practical thought. Often a great fit for legal, financial and technological pursuits. The reformer wants both high standards and strong results, which makes them extremely determined. They have a strength in monitoring performance and discipline, making them well suited to roles where decisions might need to be made based upon logic and data, rather than people and relationships. If this initial overview has piqued your interest and you want to know more about Jung’s personality types, check back soon as that will be the subject of our next post. You can also learn more at www.scottstedtalk.com. Is What You See Really What You Get? Everyone knows that you can’t always believe what you see. Despite how it seems to us, our perception of the world around us is actually quite limited and we frequently miss important information from our environment. The most obvious form of perceptual anomaly is optical illusions, where we perceive something that we know cannot be the case. There’s an illusion called the Ponzo illusion where you see two lines stretching off towards the horizon like train tracks, and you have to estimate the length of two horizontal lines running across the track. These two lines appear to be different lengths, but we can measure and easily observe them to actually be the same length. The strange thing is that even when you know that the lines are the same length, they still appear to be different lengths. Optical illusions are just one of the ways that our perceptions can lead us astray. Today we’re going to discuss the other ways in which our perceptions can play tricks on us, and learn a bit about how perception works. When you think about it, it’s obvious that we don’t always perceive all of the details that we think we do. Just consider how it feels when you are tired, in a hurry, or absorbed with a problem, and you’re rushing down the street. You don’t pay much attention to the scene around you, so it’s easy to miss details that you would otherwise notice. There’s obviously a relationship between how much attention you pay to an environment, and the degree of detail that you’ll observe in that environment. In its extreme form, this effect is called inattentional blindness. There’s a famous experiment from the 1970s called the invisible gorilla. In this test, participants are shown a video of two groups of people playing with a basketball. One group is dressed in white, the other in black. The participant is asked to count how many times the ball is passed between the players in white, which requires careful attention to the video as the passes are made quickly. At the end of the video, participants are asked how many passes were made, and also if they noticed anything unusual about the video. Around half of the participants answer that they saw nothing unusual in the video. But in fact, during the video as the passes are occurring, a person dressed in a gorilla suit enters the frame and dances around the players. If you’re not very focused on a task like counting the number of passes, it’s impossible to miss the gorilla. But when their attention is focused elsewhere, many people don’t see a huge dancing gorilla that is quite literally staring them in the face. It is to some extent obvious that how much attention you pay to a scene will affect how much you perceive of it – and, as in the case of the gorilla, paying a lot of attention to one aspect of a scene will make you less perceptive of other aspects of the scene. But perceptual anomalies go beyond just matters of attentiveness… into strange situations that seem unbelievable at first. One such aspect of perception is called change blindness, and it occurs when a scene is changed before our very eyes and we don’t even notice it. Normally, humans are very good at detecting change. 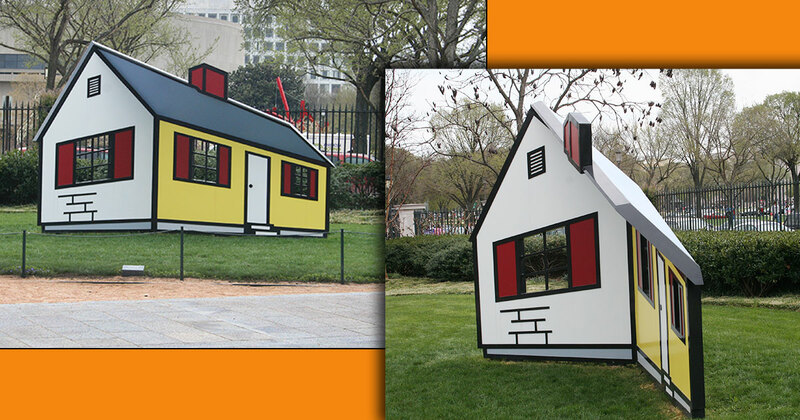 If we see two similar pictures one after another but there are subtle differences between the pictures, we’ll very quickly pick up on what is different. If you flick back and forth between the two images, you’ll see the differences between them jump out at you very obviously. However, there are ways to trick our brains so that we don’t notice such changes. One way is to introduce a blank screen between the images, so you see picture one – blank screen – picture two. This makes it much harder to detect differences between the pictures. The funny thing is that this works not only with pictures but also in the real world. One experiment took place on a busy street, where an experimenter would stop a random passerby and ask them for directions. While they were asking, two confederates dressed as workmen would walk between the experimenter and the subject holding a large door which blocks the subject’s view for a moment. In that moment, the experimenter would duck out and be replaced by a different person. Once the workmen have passed by, most subjects didn’t even notice that the person they had been talking to a second ago had been replaced by a totally different person. This is how big a change can take place in our perception without us being aware of it. Another perceptual oddity that humans have is a tendency to see patterns everywhere. The phenomenon of pareidolia refers to the habit we have of seeing patterns even in random noise, and especially of seeing faces. It’s why you get those funny blogs of hundreds of photos of coat hooks, bags, or other inanimate objects that everyone instantly perceives as looking like a face. It’s also why it’s common for people to perceive the face of Jesus in their toast – we have evolved to be so good at pattern recognition, and especially recognition of other faces, that we perceive faces even in random noise. One of the most important things to understand about perception is that it is led by our mental state, including our prior knowledge and assumptions about the world. We refer to perception as being top-down, meaning that it is guided by our assumptions and knowledge, rather than bottom-up, which would be led by environmental details. It seems to us as if we are perceiving an accurate and objective picture of the world, but in fact large amounts of what we think we perceive is actually filled in by our brains. What you see is just as much about what you believe as it is about what’s in front of you. https://discoveryourself.com/wp-content/uploads/2013/04/logo_scott1.png 0 0 Scott Schwefel https://discoveryourself.com/wp-content/uploads/2013/04/logo_scott1.png Scott Schwefel2018-04-02 17:34:192018-04-02 18:39:53Is What You See Really What You Get? Anyone who has ever made a resolution to get more exercise, to waste less time on Facebook, or to become more organized about their work already knows that it is incredibly hard to change our behavior. Once a behavior has become a habit or a part of our routine, it’s very difficult to replace that habit with something new. Why is it so hard to change our habits? If my goal is to get fitter, and I have the equipment, time, and motivation to do so, why is it so hard to stick to a goal like going running twice a week? I might manage my goal for a few weeks, but if I’m like most people then I won’t maintain the new habit in the long term. Even when I know that the new habit will make me feel better and will make me happier overall, it’s still tough to maintain. The problem is that as humans, we are far less rational than we like to believe. We’d like to think that when we’re presented with clear evidence that a particular action is possible and would make us happier, then of course we’d change our habits. But in truth, we don’t weigh choices rationally. In a previous blog post we talked about an experiment where kids would rather eat one marshmallow now than wait ten minutes and get two marshmallows. It might surprise you to learn that adults do much the same thing. An experiment at New York University offered adults a choice: they could receive $20 now or wait a month and receive more money then. The majority of people chose to have the $20 now, even though they would have received more money if they had waited. The essential problem is that, as human beings, we are bad at weighing our future happiness against our immediate desires. How can we influence our own behavior? Firstly, we can get more information about the issue. In the case of exercise, we could learn more about the health benefits of exercise and how it could improve our life. Information like this can provide long term motivation in setting goals, but given that we do not make decisions rationally, it might not be so helpful in getting us out the door for a run right this minute. The other approach to behavior change is to provide incentives. These can be either positive, like getting a reward for completing a new habit, or negative, like giving money away when you don’t complete the habit. Both positive and negative incentives can be effective, so it’s best to use a combination of the two. It also helps to keep us engaged if these incentives are fun and immediately rewarding. If you want to make new habits, there’s something important to understand about human psychology and how it applies to behavior change, and that is the role of the environment. People often think of humans as being “brains first” or “genetics first,” as if there is a core real “us” which is placed into the world. But this isn’t the case. Rather, our brains (and our minds) develop in response to our environment. Your brain and your mind are profoundly affected by the world around you – to such an extent that if you were taken completely out of your environment, you wouldn’t be “you” for much longer. Instead of thinking of yourself as a pre-formed brain which should make rational decisions based on self-interest (which is not a helpful way to think when you’re trying to change your behavior) think of yourself as a bundle of intentions which responds to environmental cues. Information comes from the environment, it enters our brains, we respond to this information through behavior, and behavior drives outcomes. Remove “pain points” to make it easy to do the right thing. For example, have your running gear washed, ready, and in one place, and leave your running shoes by the door. Then whenever you do want to go for a run you won’t be put off by the hassle of finding your gear. Put physical reminders in your environment. For example, if you want to work on your finances each morning then put your accounting book on top of the papers on your desk. You’ll have to physically pick up the book to get to your desk so you’ll be reminded and incentivized to do your accounting. Reward yourself for meeting your goals. The trick for this tip is to pick an appropriate reward. If you reward yourself for going running by eating fast food, then you’ll undo all of your good work. Instead, try something small like ticking a box or adding a sticker to your diary. It might sound childish, but a physical reminder of your progress like a sticker can be great motivation. Related to this, do track your progress over the long term. For example, you could record how many days per week you do your accounting, or track how many miles you run each time. You’ll be able to see yourself improving over time, which will reinforce that each run adds towards your long term goal of getting fitter. Get social support. One of the biggest factors in whether someone will be able to successfully quit smoking isn’t whether they use nicotine patches, or if they’re educated about health risks, or even whether they enjoy cigarettes – it’s whether they have support from their social circle. Having friends, family, and colleagues support you in your new behavior will be a big help in getting you to stick with it. Do your thoughts cause your behavior? That might sound like a silly question at first. Of course, you feel thirsty, you know that taking a drink will quench your thirst, so you move your arm to pick up your glass and drink some water. It’s obvious that your conscious thoughts about being thirsty and knowing that water will make you feel better caused that action, right? In fact, evidence from cognitive neuroscience suggests that conscious thought may not be as much of a driver of behavior as we expect. Many of our actions are ‘decided on’ unconsciously. The question of what causes behaviors has been debated in philosophical circles for thousands of years. The problem is this: if you believe the body to be a purely physical thing, as most philosophers these days do, then it’s hard to explain how this physical body could be controlled by a mind. How do thoughts (a mental thing) cause actions (a physical thing)? In all the rest of the world as we know it, there is no other example of a mental thing causing a physical thing. The solution that some have come to is that conscious thoughts don’t actually cause behaviors – the thoughts merely run alongside the behaviors, and we think that the thoughts cause the behavior because they happen at the same time. This view, called epiphenomenalism, sounds bizarre but is one of the few ways to make sense of the relationship between mental and physical: conscious thoughts are just a kind of window dressing for behaviors that are actually caused by physical things like the environment. If this sounds like unfounded philosophical pondering, then you’ll be glad to hear that more recently cognitive scientists have performed experiments to investigate the brain’s role in causing behaviors. A famous experiment by neuroscientist Benjamin Libet used EEG (a kind of brain scan) to measure the moment at which people decide to take an action. The participants were hooked up to the EEG machine and then asked to push a button at any time they wanted to in the next 10 seconds, and to look at a clock and take note of the exact moment at which they decided to act. The strange thing was that a distinctive pattern of brain activation was found before the participants reported deciding to push the button. It seemed that there was a decision making process going on in the brain which took place a full half a second before the conscious decision to act was made. This is pretty solid evidence that behaviors are caused, at least to some extent, by unconscious brain processes rather than by conscious thoughts. That’s pretty strange, for sure – the idea that decisions are being made by you before you’re actually consciously aware that you have made a decision. But still, regardless of the time differences involved, you still feel like you make a decision and then take an action. You’d know if a behavior happened without you deciding to do it, right? If you thought one thing and your body did another thing, you’d definitely notice – wouldn’t you? According to experimental research, maybe not. There’s a group of experiments called false feedback tasks, in which participants perform a simple action such as drawing a straight vertical line. The trick is that the experiment is set up so that the participants don’t actually see their own hand performing the task. Back in the 1960s, this was achieved by getting participants to put their hand in a box and using a system of mirrors so that when they looked down, they actually saw the experimenter’s hand instead of their own. Nowadays similar effects are achieved using computerized feedback. Using this system, experimenters give the participants false visual feedback. So, for example, instead of seeing their own hand drawing a straight vertical line (which is what their hand was actually doing), the participant sees a hand that looks like their own drawing a line at an angle. The really strange part is that a large majority of participants still think that the hand that they see is actually their own hand. Even when the action that they intended to take (draw a straight line) was actually followed by a different action (draw a crooked line), participants still felt as if they were in control of their actions and that they had decided to draw a crooked line instead. This means that people perceive themselves as consciously controlling their hand even when it was actually controlled by a computer or by the experimenter, and they believe their decisions to be controlling the hand even when they are not. As you can see, the degree to which your conscious thoughts control your behaviors is actually not as clear as you might think. In terms of both deciding to take an action before it happens, and making an assessment that we chose to perform an action after it happens, we are remarkably influenced by non-conscious factors. We assume that we have consciously decided to take a certain action when we observe ourselves performing that action, when in fact many of our behaviors are not consciously driven.